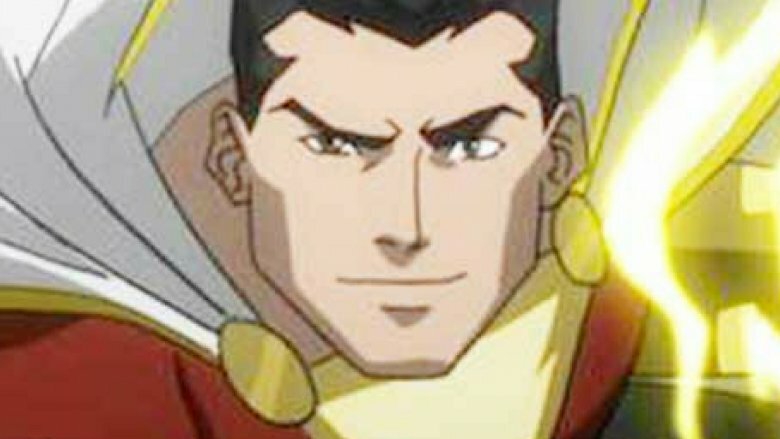 DC's long gestating Shazam! project appears to be finally getting off the ground. According to The Hollywood Reporter, the studio plans on filming the superhero flick next, despite the fact that no star has been officially announced yet. David Sandberg (Annabelle: Creation) is directing the film, which will tell the story of Billy Batson, a teen who discovers that he has the ability to turn into a god-like superhero with just one word. (Three guesses as to what.) Peter Safran, also of Annabelle: Creation along with DC's Aquaman, is currently in talks to join as a producer, with the film headed towards a January or February 2018 production start ahead of its planned 2019 release date. Things got complicated with the Shazam! movie earlier this year when it was announced that Dwayne Johnson, who has long been attached to the film as the villainous Black Adam, would get his own film instead. THR writes that Johnson is not involved with Shazam!, but that the Black Adam spin-off film is still a go. However, with Johnson's increasingly busy schedule, it could be a while before that film gets off the ground. Warner Bros. recently set two 2020 release dates for upcoming DCEU films, with one of those dates likely being taken by a sequel to this year's hit Wonder Woman. (An official announcement is expected this weekend at San Diego Comic-Con.) THR notes that other Wonder Woman's sequel is still in its early stages, though, as Patty Jenkins and Geoff Johns are still working on the treatment. Shazam! appears to be the next film to take off due to some struggles on the parts of other DC properties. The Flash is still searching for a new director after shedding its past two, while Joss Whedon is busy overseeing the final production of Justice League and therefore won't be able to start work on his solo Batgirl film for a few more months. The Suicide Squad sequel is revving up with a director deal near, with THR noting that the film will likely start production in mid-2018. Shazam! is currently set for an April 5, 2019 release, although even with production expected to get underway soon, it's unsure if that date will stick. While we wait to learn more about the upcoming super-project, see some of the other movies that will blow you away that year.